Stefan Thomas is the author of Business Networking for Dummies, and Instant Networking, both Amazon bestsellers. 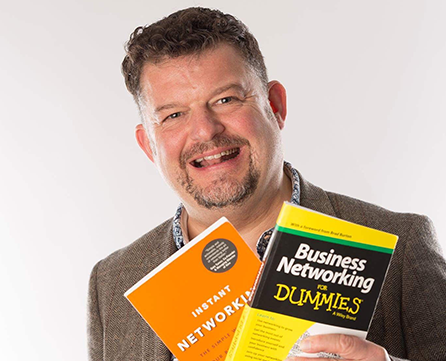 He has been described the authority on networking in the 21st century, helping business owners to understand how to join up networking and social media. He speaks for organisations such as Lloyds Bank, Utility Warehouse, the Chartered Institute of Management Accountants, the Content Marketing Academy and many more. He has been quoted in British newspapers The Telgraph, The Guardian, and The Huffington Post.